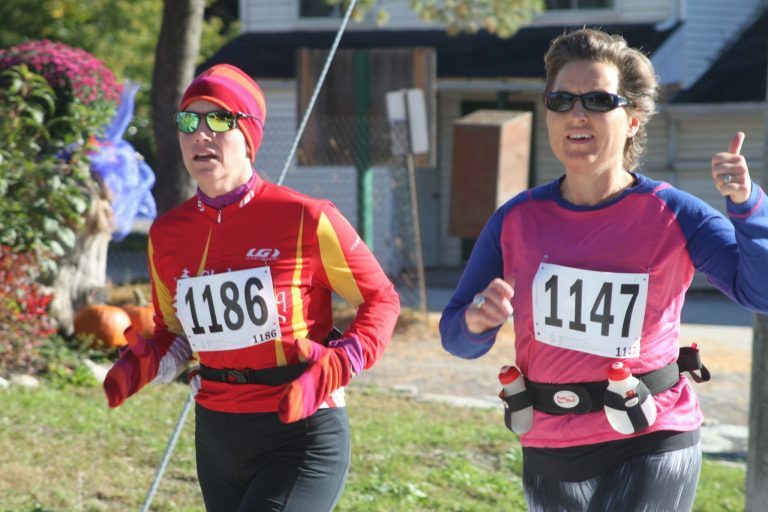 We are committed to funneling all monies raised through race registration fees directly to La Maison Libère-Elles. This means that 100% of the money that you commit by registering yourself and your family goes directly to helping another family in need. Tax receipts will be issued for your registration fees. We can’t think of a better way to celebrate Thanksgiving, can you? The Chelsea Challenge began in 1990 and has been running almost every year since – this year will mark the 27th anniversary of the event. The Chelsea Challenge was conceived by Robert Orange, from CIBC Wood Gundy, and Greg Christie from Greg Christie’s Ski and Cycle Works. In later years, Stephen Lynott, from Century 21 Macintyre Inc. came to lead and organize the event as it grew into the event it is today. The Chelsea Challenge has become a Thanksgiving tradition for many families and more importantly it serves a really great cause. To date this fun and important community event has raised over $80,000 for La Maison Libère-Elles, a shelter for survivors of family violence. We look forward to seeing all our old friends and making new ones. Please invite all your friends and families; we want to introduce a new generation of kids to the event so we can continue for many more years to come. We hope you can make it this year! La Maison Libère-Elles is a charitable organization whose mission is to provide specialized assistance and accommodation for women victims of violence or who have temporary difficulties and their children. For additional information, visit the Website (maisonlibere-elles.ca) or they can be followed on Facebook (Maison Libère-Elles).